I had a horsemanship instructor when I was in college who said that: respect and fear are only spelled different. I remember thinking a lot about that phrase when he first said it, and it’s stuck with me twenty years later. While that particular instructor didn’t do things the way I do these days, at all, he was very good at what he did, and at explaining it. He taught me a lot of things I’m grateful that I understand. For example, he taught us how to make and use a nerve line, explained exactly how it worked, stressing how painful it was and how potentially damaging it could be. He told us that by teaching us to use it, he was now responsible for every horse we ever used it on, and that if we ever chose to teach it to someone else, we would then be responsible for every horse they used it on. I never used a nerve line outside his class and supervision, and I’ve certainly never taught anyone else to use one, but because he’d taught me about it, I can recognize when other devices – knotted rope halters, Dually and other “control” halters, halters with chain crownpieces – work the same way on the same nerves and cause the same pain and potential damage in the hands of someone who hasn’t been properly educated – and intimidated 😉 – by my horsemanship instructor. “Respect” is a word that’s thrown around a lot in horse training. But respect is a human concept. 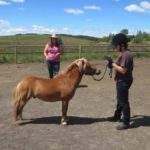 Horses don’t think like that – they never once think, “Hey, I’m going to ruin this person’s day because I just don’t respect them.” Horses simply react to the world around them. 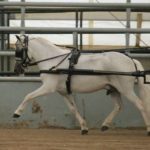 A horse who’s been trained to behave in ways people define as “good” is referred to as respectful, while who hasn’t, or one who has been inadvertently trained to behave in a manner we define as “bad”, is labeled as disrespectful. For me, the biggest danger of this sort of terminology is that it attributes a deliberate misbehaviour (that doesn’t exist) and therefore gives us mental permission to punish them. The next time you are tempted use the term “respect”, or you see someone else use it, try substituting his alternative spelling instead. See if it changes the way you see the behaviour, and the way you approach your horse. Because the vast majority of the time, this terminology is used to justify a training paradigm where the horse does what is asked of him out of fear of the consequences if he doesn’t. Respect is a word I’ve chosen to eliminate from my interactions with horses … with one exception: respect is a human concept, and as humans I think we should always have respect for our horse. 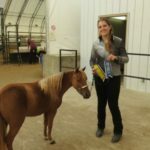 Hi,I just finished reading your article on respect and fear are only spelled different.I learned how to handle and take care of horses and ponies while doing work experience jobs during my grade 8 to 12 working on horse farms and at a therapeutic therapy farm and i was taught how to properly and safely handle horses and ponies from the ground before i took lessons on how to ride and eventually drive them in harness and a cart under close supervision. I just asked the horses and ponies if they wanted to play with me and have some fun doing obstacle work in the arena and they always were eagerly wanting to join up with me to do whatever i asked or wanted to do with me by their side.I always took it slow with them talking to them and never pushing them to do whatever i asked them to do with me . 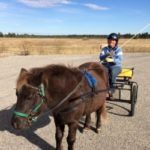 The horses and ponies knew that i was partially sighted with limited vision so they also kept a close eye on me and if i were to go towards an obstacle etc that i couldn’t see in my blind spots they would guide me away from danger from cars etc. The lead mares or the geldings would keep the other herd away from me if they were to excited. 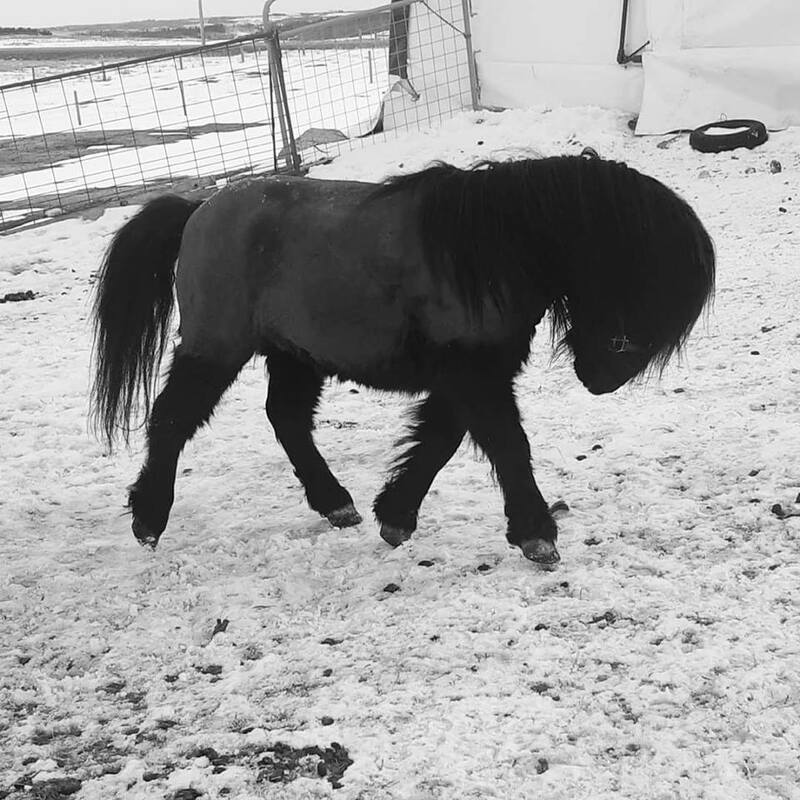 Kendra,what do you think of click&reward training,ttouch and ground exercises with horses and ponies?Could you please do an article or some training videos on these last two training methods on your website? Wow. Wonderful article. I feel the same about bits. People move to harsher bits when they don’t get the results they want. I’ve retrained every horse I’ve had to ride bitless . All it takes is patience and a resolve to not buckle under the misguidance of others. That is a great article Kendra. So many of yours really touch a cord with me. 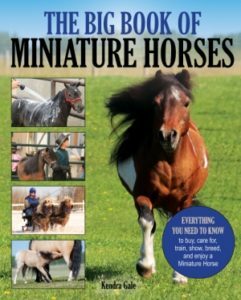 Have worked with horses all my life, but have started following many of your principles with all my horses, not just the miniature. I notice happy relaxed horses who are a pleasure to handle and ride, as well as being great fun to be with.